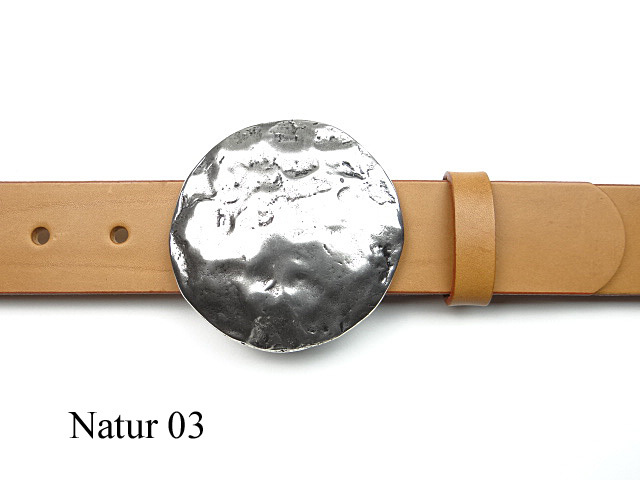 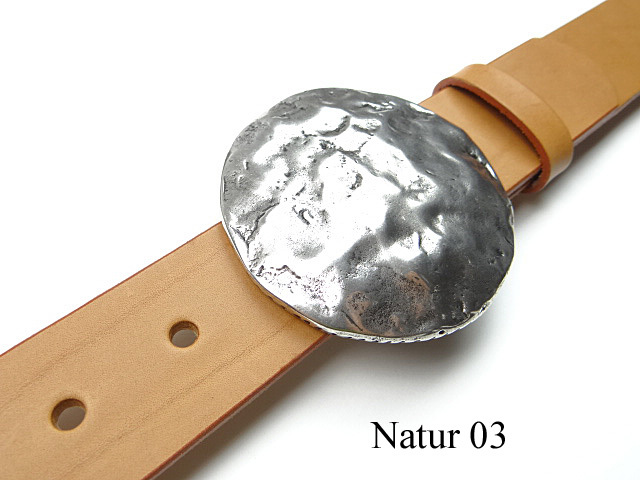 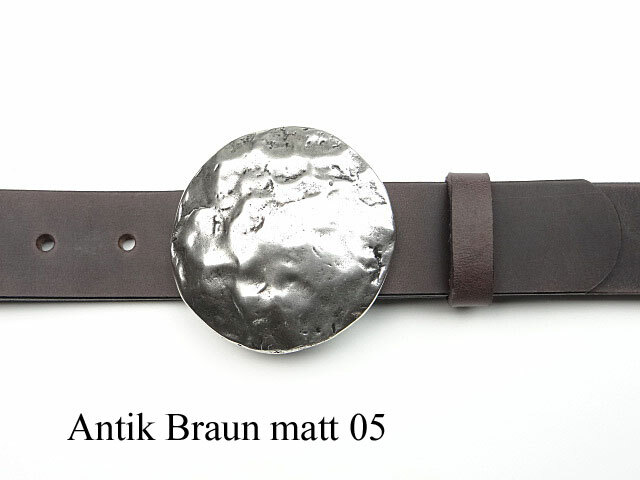 Leather belt with a lovely large round decorative buckle. 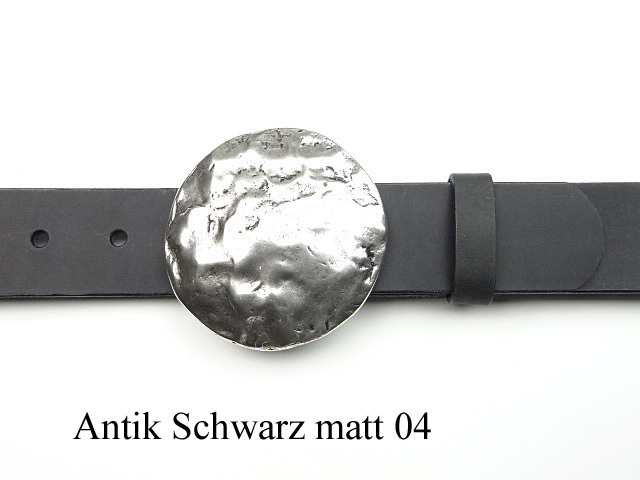 The hammered surface appearance of this buckle gives it a certain something and makes it into a real eye-catcher. 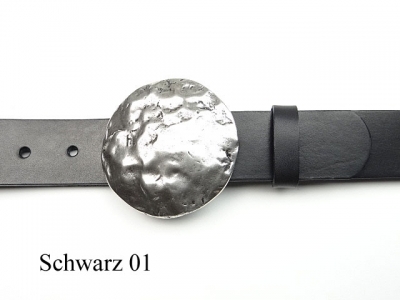 Tis high quality Italian buckle is silver-plated and nickel-free and is available in all sizes and 5 different leather strap colours.